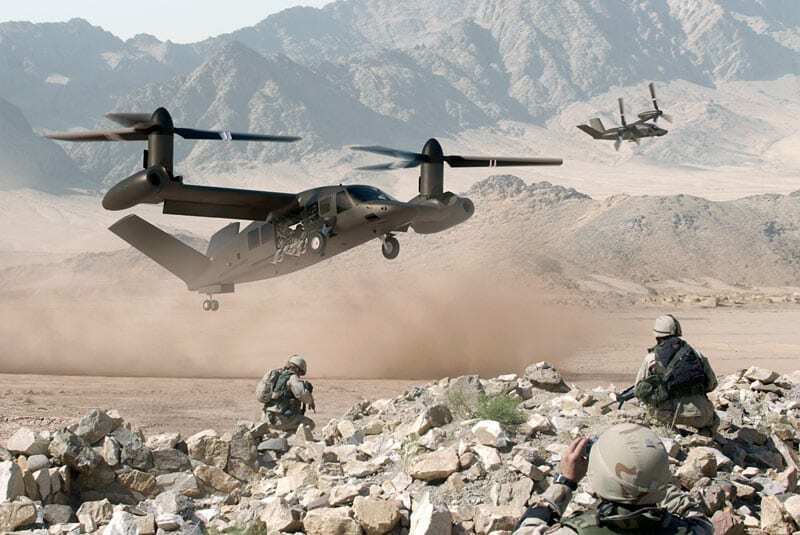 Bell Helicopter has begun placing the spotlight on a new vertical lift platform design, dubbed the V-280 Valor. Similar in concept and range to the V-22, the V-280 targets the new Joint Multi Role (JMR) application. One of the most recent venues for the program spotlight was the Special Operations Forces Industry Conference (SOFIC), held in Tampa, Fla., in mid-May. The V-280 fuselage element appears similar to the current UH-60 series Black Hawk with a V-tail. The design includes a large wing with rotating prop rotors and non-rotating engine. A driveshaft runs through the straight wing, allowing both prop rotors to be driven by a single engine in the event of engine loss. Additional design features include dual cargo hooks that allow the lift of an M777A2 howitzer at approximately 10,000 pounds. “So it’s got the payload capability to do that and the range to actually take it somewhere,” Gehler said, acknowledging that a payload of that weight would reduce aircraft speed to something on the order of 150 knots. He outlined many of the features designed to meet Army needs, including an assault platform with large side doors that allow soldiers to run off and on easily while providing door gunners with great visibility and large fields of fire. 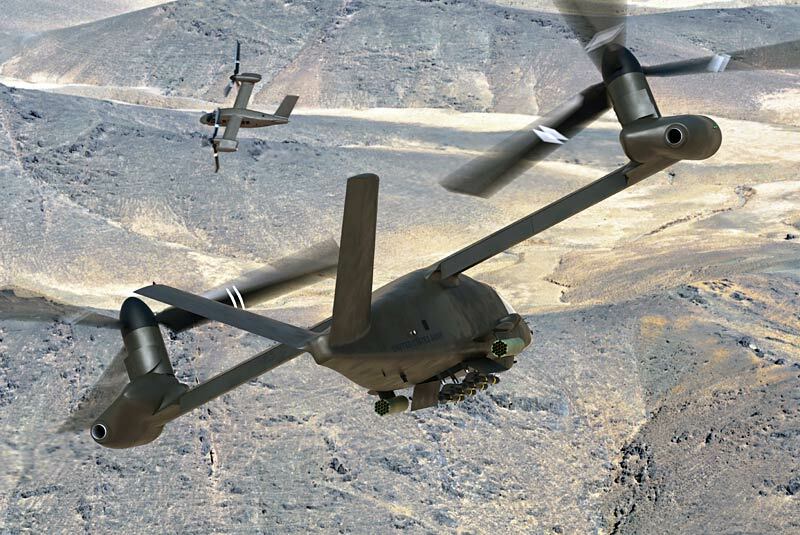 Although the initial design is based on a utility configuration, some concept work has already been done on an attack configuration of the V-280. 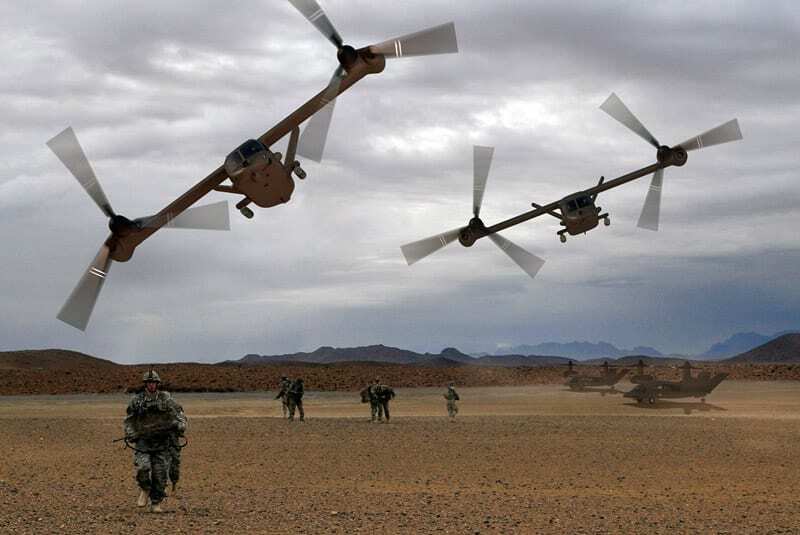 Although Bell Helicopter is still teamed with Boeing on the V-22, Boeing and Sikorsky have teamed up on an “X2” –based rotorcraft design for JMR. jorge del carmen fernandez caro.